You only get one shot to make a great first impression. Within seconds, guests will size up your venue, entrance, and decor to get a good idea of how the night will proceed. While there are so many important components of a successful event, creating a dramatic entryway is one task that shouldn’t be skimped on. Here are a couple of ways to create a dramatic event entrance that your guests will be talking about for weeks. 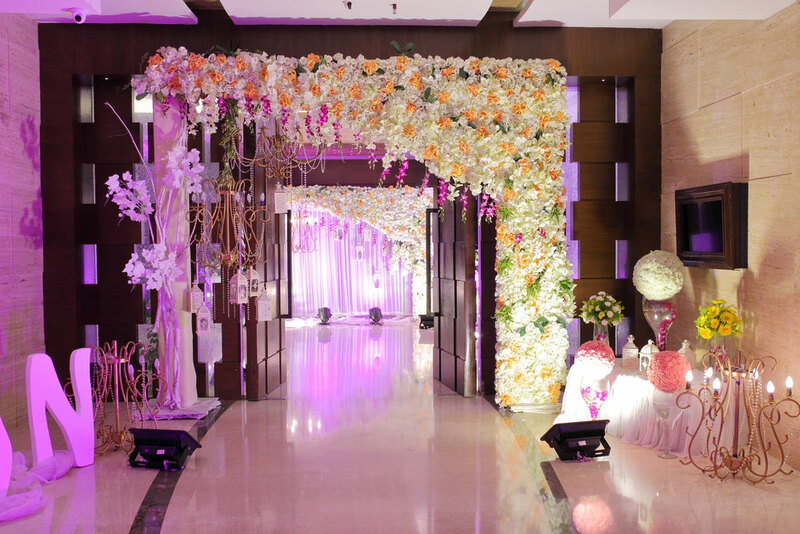 A decorated archway is a beautiful feature that adds style to any event entrance. It can be customized to complement existing decor or draw focus to a particular area or room. Beautifully decorated archways offer guests a place to pose for pictures and share on social media, promoting your event and documenting its success. Crossing through an archway signifies the start of a great night! Walkways are the perfect addition to any event because they create a dramatic and exciting experience of transition to your tented event. While they are stylish and fun, walkway frame tents offer functional benefits as well. In case of inclement weather, a walkway provides a covered, safe haven for guests as they enter and exit the event. They can provide much-needed shade on a hot day, and protect your guests from rain or snow. They have no poles in the center, but are limited in size. They are available in either 9’ or 10’ wide and can be extended over 200’ long. Love the venue but not a fan of the exterior? Pipe and Drape can help cover existing structural flaws, set spatial boundaries, and provide a softer backdrop to truly transform your event space. Hang twinkling lights behind the drape for a subtle, elegant glow, or frame a doorway to signify a dramatic entrance. Pipe and drape are a beautiful, versatile, and visually appealing addition to any event entrance. Whether it’s designing a dramatic event entrance or renting high-quality tents, tables and chairs, The Alleen Company want to help make your next event a success! We’ve been in the event business for more than 65 years, which means our team is the only option when it comes to behind-the-scenes services for all things planning! Contact the team at The Alleen Company today, or explore our website for more information on how we can help you take your private event to the next level.